Watching vintage Japanese monster movies is accepting to be part of an alternate reality. They have their own rules, their traditions, and simply are very different from their Hollywood counterparts. War of the Gargantuas is no exception to this. In fact, it might be perfect example. Within moments of the opening credits we’re treated to a random, giant octopus attacking a boat. The octopus is killed by the sinister ‘green gargantua” and never even mentioned again in the movie. The only surviving sailor is apparently much more worried about giant green “yetis” than giant octopus. And why shouldn’t he feel any different? It’s the 1960’s and Japan is overrun with giant monsters. Some are worse than others. In the shared world of Toho creature features, there’s a ranking system. More on this same point, our hero (American actor Russ Tamblyn) is a scientist whose whole field of study is giant animals! How great is that? And you can either go along with this or get out of the way. There’s no middle ground with these movies. The experience can only possibly be compared to reading Marvel or DC comics with their vast superhero mythologies. But enough about all of that, on to the film itself. The movie is actually a semi-sequel to the bizarre “east meets west” shocker “Frankenstein Conquers the World.” In that movie Frankenstein’s monster grows to city smashing size and does battle with a dinosaur. This movie concerns Frankie’s asexually produced offspring. I already mentioned the “green” Gargantua, who is bad to the bone. Well there is also a brown one, who is peaceful. Together they’re the Cain and Abel of the monster world, which makes for an interesting dynamic to say the least. 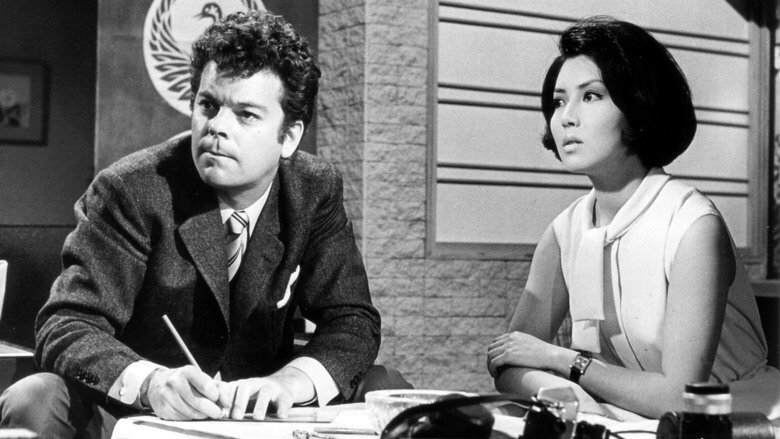 Another interesting thing about this flick is the sorta/kinda/almost love triangle between Dr. Stewart(Tamblyn), Dr. Yuzo Majida(Toho regular Kenji Sahara) and lab assistant Akemi. Akemi is real cutie, dressed in late 60’s fashion and sporting Jackie-O style hair. She’s played by Japanese “scream queen” Kumi Mizuno and it would be easy to see why guys would fight over her. It’s implied, but just barely. The romance element isn’t fully there. I’m not sure if it was become of the time period or what, but I really do wish they would have gone the whole hog with it. As it stands, it’s merely a look back at a more “uptight” era. 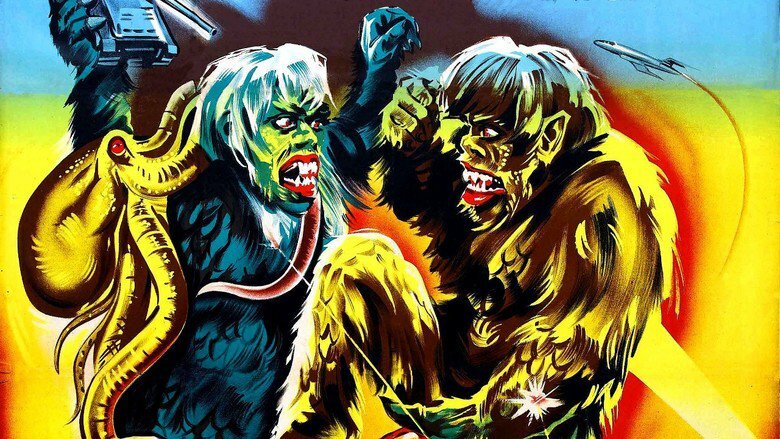 The Gargantuas themselves are some of the cooler looking monsters ever produced by Toho – sort of a combo of the Boris Karloff Frankenstein and Bigfoot. While similar in appearance, brothers red and green are also distinct from one another, a level of time and thought that is sadly lacking from some of Toho’s later monster movies. A third installment called “Frankenstein vs. Godzilla” was planned but never got off the ground. It would have been interesting to see the boys go up against “Big G.” But I’m happy with what we have. When I was a kid, this is the sort of movie I loved watching rainy days, taking it all in, then running out into the rain and pretending to be a monster. Glad to say it’s still really entertaining to this day. Despite being a sequel, it’s a perfect entry point into Japanese monster movies. They say war is hell, but this one is one hell of a good time.